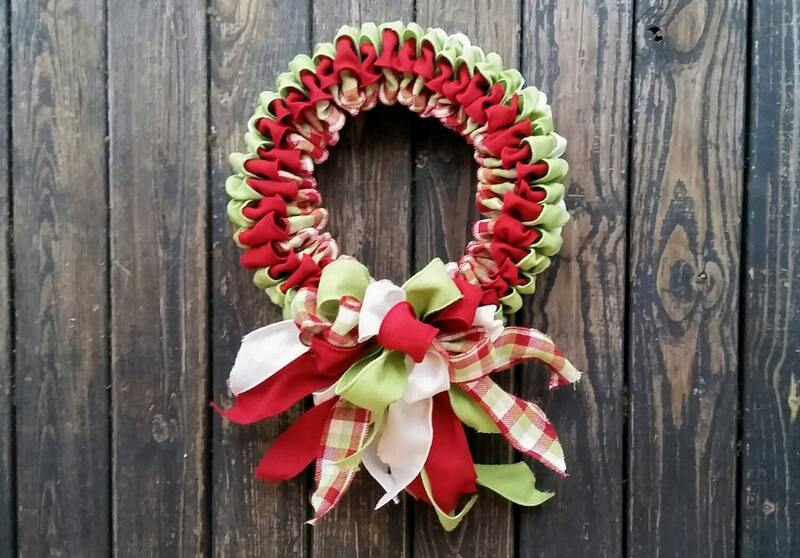 Sometimes simple makes a bold, elegant, and beautiful statement. 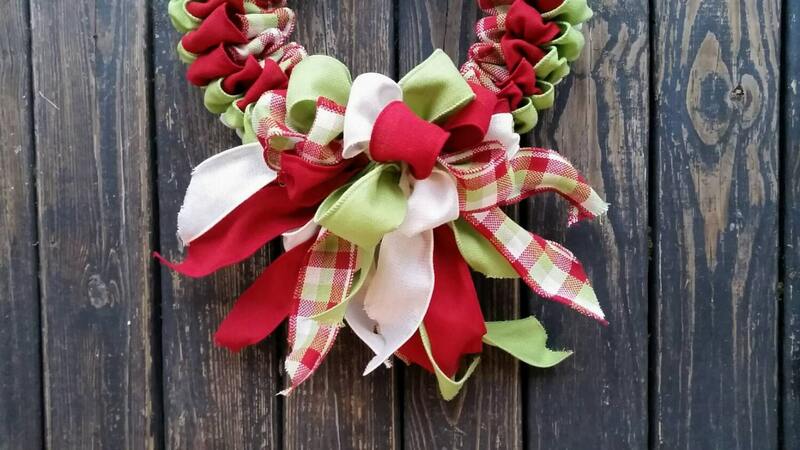 This red, cream, and green Christmas Burlap Ribbon Wreath falls amid the description. 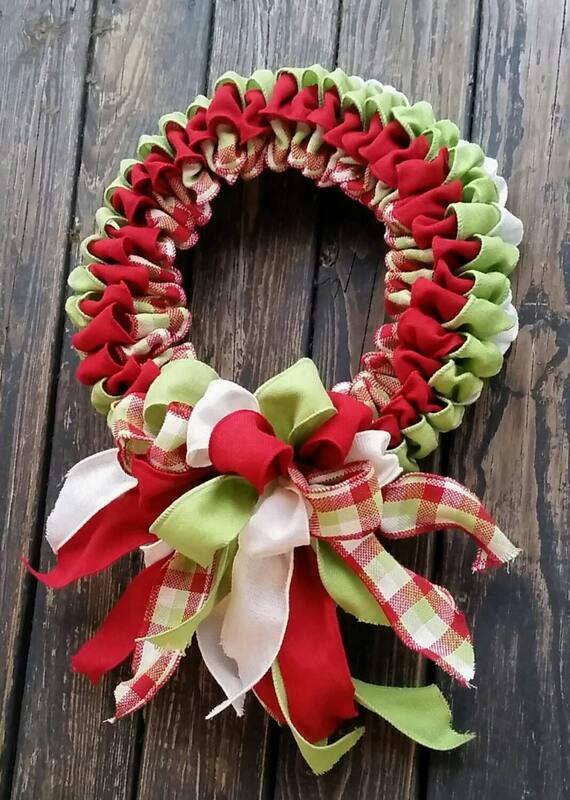 Four different ribbons were used to create this gorgeous wreath... Two separate red and white canvas ribbons in a chevron and a quatrefoil pattern and two separate green and white canvas ribbons in a chevron and a quatrefoil design. 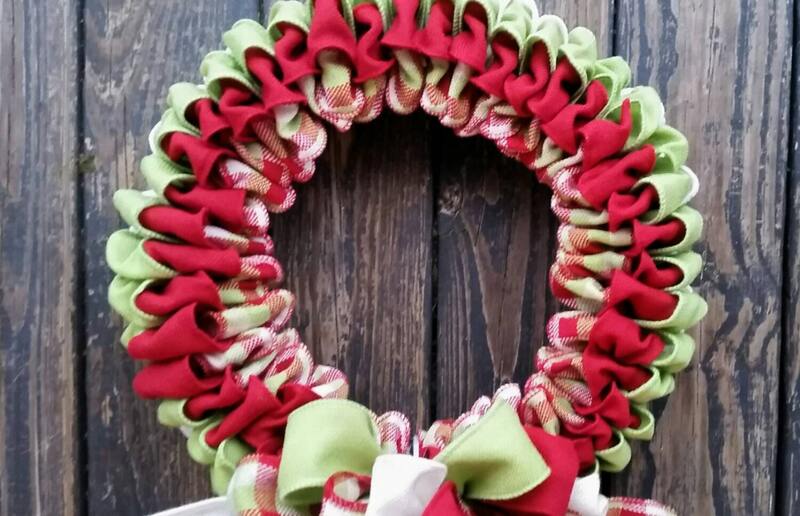 The complimentary patterns work beautifully together and the bow is truly stunning. 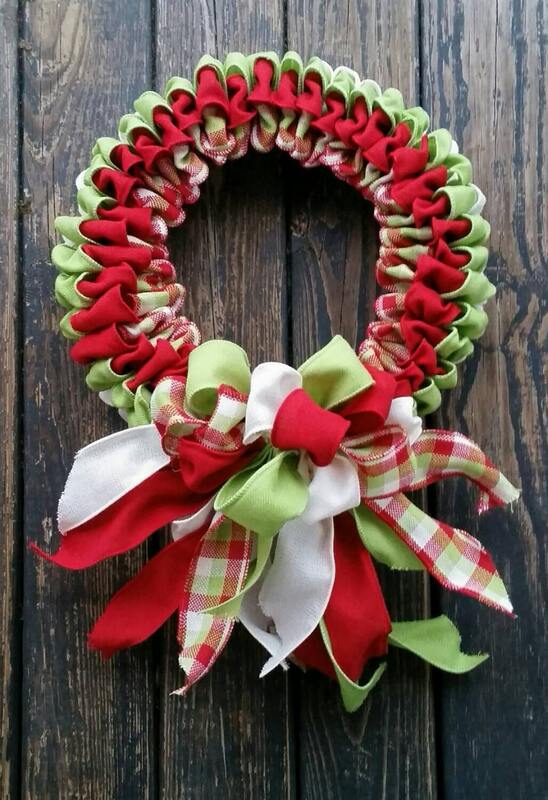 The finished wreath measures 18 inches wide by 23 inches long (tip to tip). The base is a boxed wire form.